DTE Maharashtra successfully conducted Maharashtra Common Entrance Test (MH CET) in the month of May 2017 and the results of the same were also declared. The online registration process for admissions was opened, which continued up to 18th June. Candidates who had appeared are eagerly waiting for the MHT CET Provisional merit list 2017. Now, the wait is over. 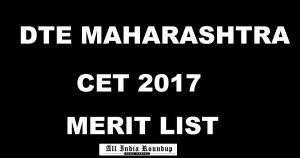 The Directorate of Technical Education (DTE), Maharashtra is going to publish the provisional merit list of MHT CET 2017 at 5 PM. Candidates can check MHT CET MHT CET Provisional Merit List from the direct link provided below. The candidates will be able to submit the options for Institutes and Courses from June 23 to 26. The candidates will be allowed to fill minimum 1 and maximum 300 choices on Institutes and Courses. The provisional allotment of CAP Round 1 will be announced on June 28 and the candidates will have to report to the Admission Reporting Center on or before July 3. The seat allotment will be made in 3 rounds and an additional round will be conducted for admission to Government and government-aided Institutions. Government of Maharashtra, State Common Entrance Test Cell shall conduct “Common Entrance Test” MHT-CET-2016 for admission to First Year of Full-Time Degree Courses of Health Sciences (MBBS, BDS, BAMS, BHMS, BUMS, BPTh, BOTh, BASLP, BP&O and BSc. Nursing, B.V.Sc. & AH) and Technical Education (Engineering and Technology, Pharmacy and Pharm. D.) for the academic year 2017-2018. 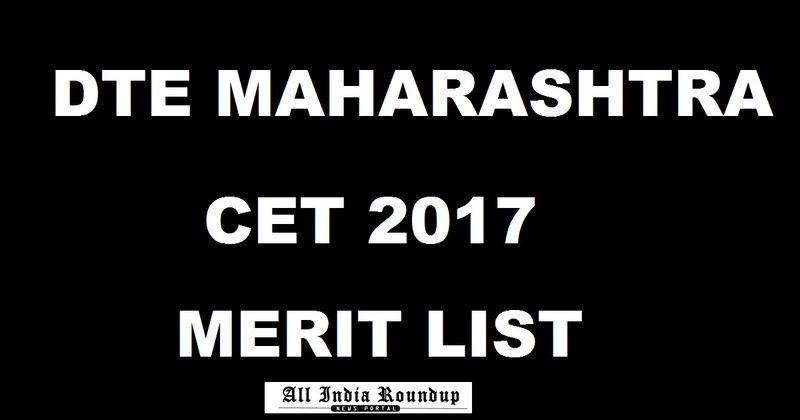 This year it has conducted the Maharashtra CET 2017 Merit List from the official website. DTE Maharashtra released notification and invited online applications for the Common Entrance Test (MH CET). A huge number of eligible and interested candidates applied and appeared for the exam. Candidates who had appeared for the online registration process can check Maharashtra CET Merit List from the direct link provided below. Candidates will be allowed to submit the grievances at the Facilitation Centres. The grievances to the provisional merit list will be submitted from June 20 to June 21 up to 5 pm. In specified grievance period, candidates can submit the grievances in writing along with necessary documents to substantiate, at FC where he/she had confirmed application form. Following it, the final merit list will be out on June 22. DTE will also publish the category-wise seats (seat matrix) for CAP Round 1 on Thursday. Click on MHT CET Provisional Merit List.